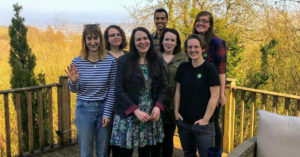 In the latest of Bright Green’s coverage of the Green Party of England and Wales’ leadership election, we’ve interviewed the Deputy Leadership candidates. Voting is now open (check your inbox for an email from Electoral Reform Services if you haven’t voted yet!) and closes on the 25th August. Daniella Radice did not respond by the extended deadline, but if/when she responds we will publish her answers. The party needs continuity in the leadership team and a critically-minded team player who will stand up for grassroots members. 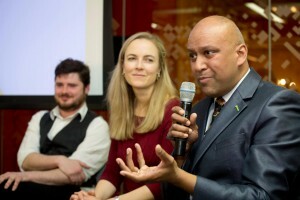 Externally, I’ve developed an excellent reputation on the public speaking circuit, whether mass rallies, festivals or memorable media interviews. You need a deputy who can pack a punch at a rally, at short notice and with conviction. Born in Eye, Suffolk. Raised in Bromley, Kent, comprehensive education. Studied and worked mainly London but well-travelled. Four degrees in engineering and philosophy. PhD thesis on lying and deception. Worked in European Parliament then mainly education and life-long learning. Don’t like to identify along class lines; citizen of the world. 3. 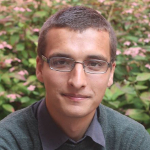 What are your top priorities as Deputy Leader if elected? 1. Local party development, facilitated through visits, is critical to our success in terms of face-to-face engagement in campaigns and mobilisation in elections. 2. Elections. I’ve been ubiquitous in supporting candidates (all general election by-elections in last two years) and local election gains will be a key strategic target. 3. Outreach. I’ve been mentoring BME members in the party and have been proactive with faith communities, building our support in an authentic way. 4. Public speaking. To continue to project and promote the Party day in day out, on rallies and platforms. 4. How do you see the Greens relating to the Labour Party and the wider left? We’re unapologetically socialist in inspiration, traditional old Labour value but not necessarily Labour today. We need to be cautious about any electoral alliance, which must be directed by the local parties most affected. Let’s be bolder about our own distinctive politics, which has the power to appeal beyond narrow party political divisions, including the Tories. I’m sympathetic to Corbyn (https://goo.gl/DC780b). 5. How should the party respond to Brexit? What, if anything, should we be calling for now? We need to think strategically and holistically, not in haste. Conference provides us with a vital opportunity to take stock of our positioning and policy. I don’t think we should be advocating second referendum now, but need to help the country reconcile itself to the result and where damage can be limited. There will be opportunities to avoid the worst excesses of neo-liberalism, e.g. localised markets. 6. What separates you from the other candidates? ACCOUNTABILITY: In seven deputy leadership hustings, I’ve been the only one to push this. It’s vital that we instil and encourage a culture of questioning and respectful debate on matters of policy, process and strategy; and to practice the excellent processes in the party, whether one member one vote, or local party autonomy in matters that most concern them. I’ve countersigned an emergency motion to get the requirement for a consultation for progressive alliance proposals put squarely on track. 7. If elected, would this be your full-time job? Yes, and then some. Politics is a vocation not a career. Deputies are now provided with an earning and this sets them apart from the majority of activists. That doesn’t mean I wouldn’t continue to act out of dedication for the role for its own sake, as when first elected. The commitment has always been predictably significant and I’m fortunate to have had the support of my family and previous employers – whether during the intensity of election campaigns or the simple fact that the majority of speaking engagements or internal meetings happen evenings and weekends. There are two types of reason to vote, contingent ones, e.g. vote for me because of my geographic location or youth, and those of an intrinsic nature, to do with character, experience and high performance. I may not be the youngest candidate but that doesn’t mean I can’t speak on behalf of people of all ages. I may not live up north, but that doesn’t mean I can’t attend to the basic needs of all, wherever they live. I may be BME but that also is not a reason to vote for me as such. 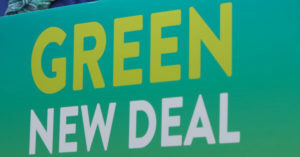 Your reason to vote for me first is first and foremost as a Green. See www.electshahrar.co.uk. 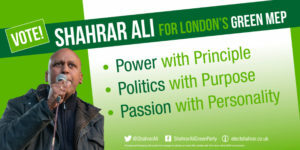 i’m sure anyone who has worked closely with shahrar will be gobsmacked to hear him describe himself as a ‘team player’ – unless that team is Team Shahrar.